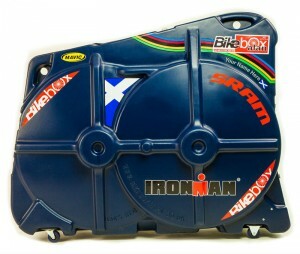 If you’re looking to travel abroad with your bike, we offer a range of boxes and bags to keep your steed protected. Rates start from £42 per week, additional days are £5 per day. Please contact us by email to book. Please states dates required and preferred box. 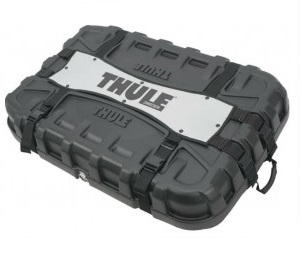 The Thule box is a no fuss, minimum hassle, easy to use box. The two halves come completely apart and are securely held together when closed. It is a very tough case and easily takes the abuse of not so careful baggage handlers! 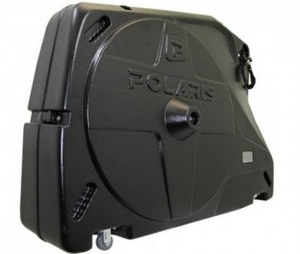 The Polaris Bike Pod Pro is the most slimline bike box in our fleet. This is our ‘go-to’ box and preferred choice. It fits flat in many car boots, perfect for road bikes up to 61cm, it also fits most 26″ and some 27.5″ MTBs. The Bike Box Alan is renowned for its rugged construction, having a steel pole between the two halves of the box to minimise the risk of crushing the bike. It isn’t quite as minimal as the Polaris but this means it will fit larger bikes up to 64cm road bikes and it’ll take 29″ MTBs too. 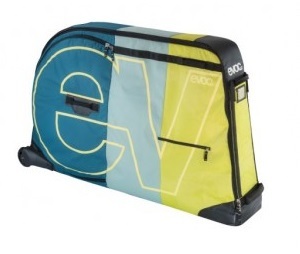 Don’t be fooled by the EVOC bike bag, it is a tough beast. It uses several reinforcing struts inside to make the bag semi rigid and minimise risk of damage to the bike. This is the lightest of our fleet and also the easiest to store as it will completely fold down enabling it to be stuffed in a car boot or in a cupboard. Due to its size, it is our most capacious offering and will take the majority of bikes with ease.